A family festival will celebrate soccer in Dandenong. Harmony Square will welcome the world game from noon to 9.30pm on Saturday 16 June. Visitors can show their support for the Team 11 bid to bring the A-League and W-League to Greater Dandenong. They can watch local soccer teams put on a show across the day then settle in to watch a live broadcast of the Socceroos versus France World Cup game on the big screen from 8pm. The day’s competition will kick off with boys and girls under-15s teams. 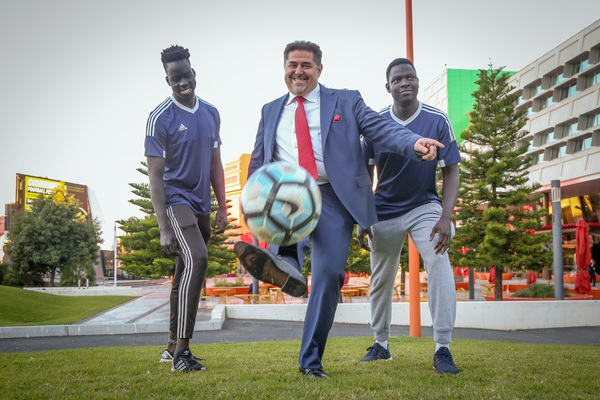 Eight teams representing the City of Greater Dandenong, Monash Health, Victoria Police, the CFA and Street Soccer will then compete for the Community Cup. An exhibition match will help to close the festival and launch a new health and fitness initiative encouraging men to play soccer. Big Bros Sport is behind the Man versus Fat Football League. Councillor Jim Memeti is a keen supporter of the Team 11 bid, which has brought the City of Casey, Cardinia Shire and City of Greater Dandenong together. Cr Memeti said soccer was a world game that broke down barriers. 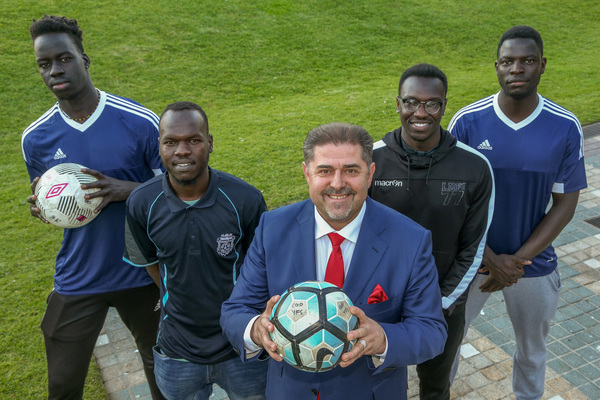 “Greater Dandenong is a sports-loving community and football (soccer) is one of the most popular sports played locally,” he said. “In fact, the beauty of football is that anyone can play it. “It truly is a world game that can help bring our community together. “With the Team 11 bid, our ultimate aim is to become Australia’s football heartland and we are working really hard to make this a reality.